Paris: A glass wall 2.5 metres high will be erected around the Eiffel Tower in Paris this autumn, part of a multimillion euro plan to prevent attacks on the iconic monument, the city said on Thursday. The wall will replace the metal fences thrown up around the 324-metre (1,063-foot) Iron Lady during the Euro football tournament last year. 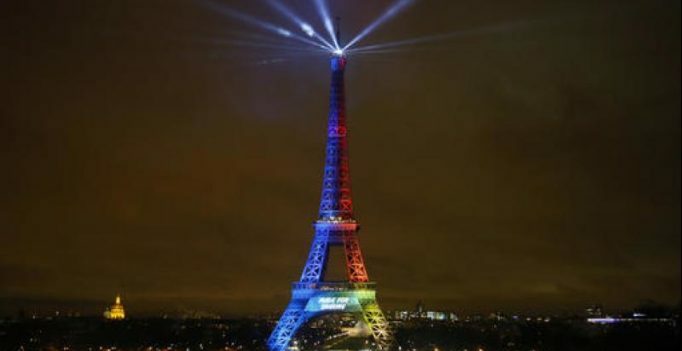 “The terror threat remains high in Paris and the most vulnerable sites, led by the Eiffel Tower, must be the object of special security measures,” said deputy mayor Jean-Francois Martins. The wall will prevent individuals or vehicles storming the site visited by six million people each year, he added. Security has been boosted after a string of jihadist attacks that claimed 238 lives around France between January 2015 and July 2016.